Victoria Beckham has divulged her latest beauty secret causing a storm of orders. The ex-Spice Girl turned fashion designer has tweeted her latest beauty obsession to the world, so now we can all try and get a bit of that flawless Beckham beauty. She posted a picture of this hand cream with the words: "Obsessed with this hand cream... fragrance is amazing! 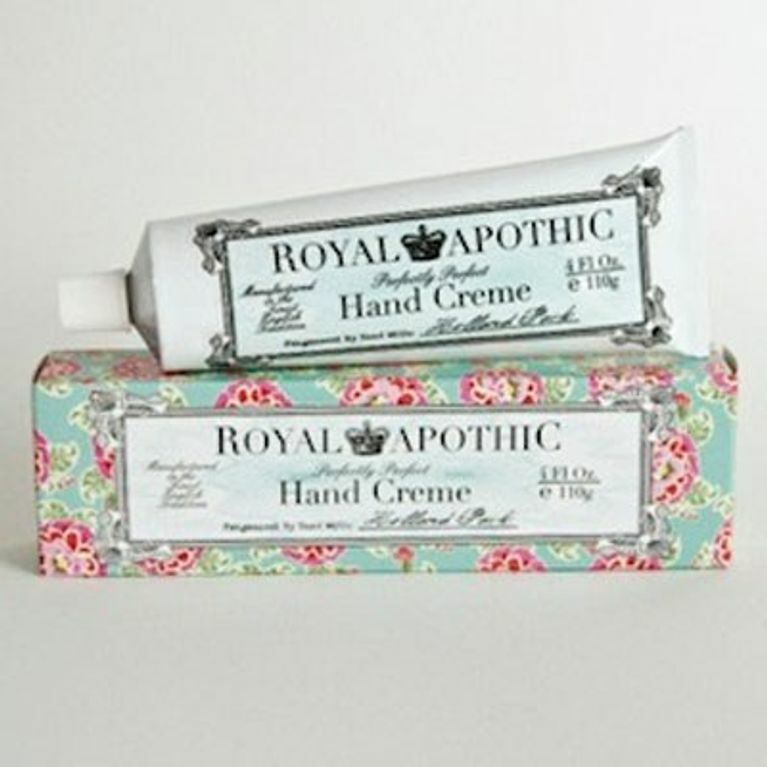 X"
The hand cream is by Royal Apothic, an LA based fragrance company that makes beautiful smelling products - fit for the stars! We love the Olde Worlde packaging and Cath Kidston style box - it makes hand cream look all kinds of luxiourious. Fragranced to smell like "one of your favourite urban courtyards" we're a bit dubious about how that actually translates to a scent - nonetheless if Victoria Beckham is a fan, it has to be good. There are three different fragrances for this hand cream and Victoria's fave is Holland Park - with lemon, magnolia, peach and jasmine, notes of orange, muguet and white musk - which sounds rather divine to us! We're placing our orders now! So be quick - after VB's endorsement this is sure to be flying off the shelves. Victoria Beckham to launch beauty collection?